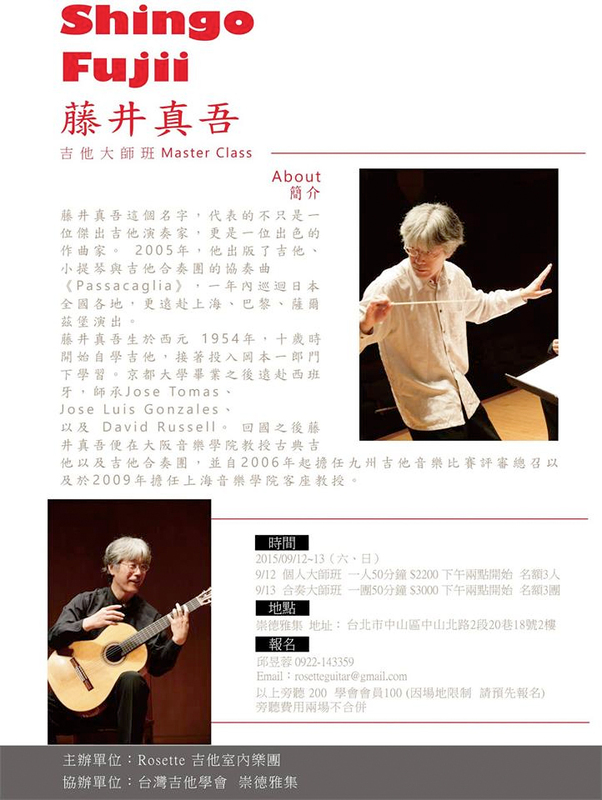 After having a solo recital in Kaoshiung city, I will have two days master classes in Taipei city on Sep. 12 & 13. I am very much looking forward to that I will not only solo plying, but also guitar ensemble playing. If you are interested in this masterclass, please contact by e-mail “rosetteguitar@gmail.com”. Shingo Fujii Guitar Recital in Kaoshiung on Sep. 10.